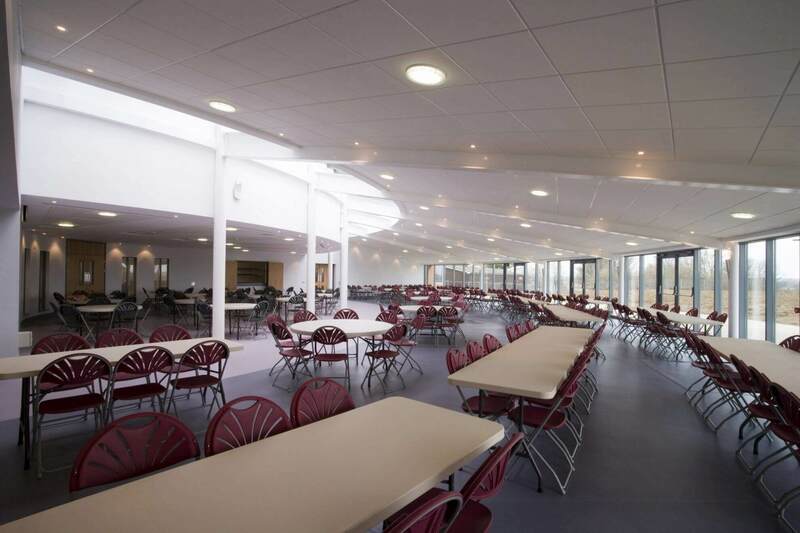 With the increase in pupil numbers and the introduction of girls into the 6th form at Bedford Modern School, BE1 were commissioned to the design the expansion of the school, providing new and independent facilities on the school grounds. 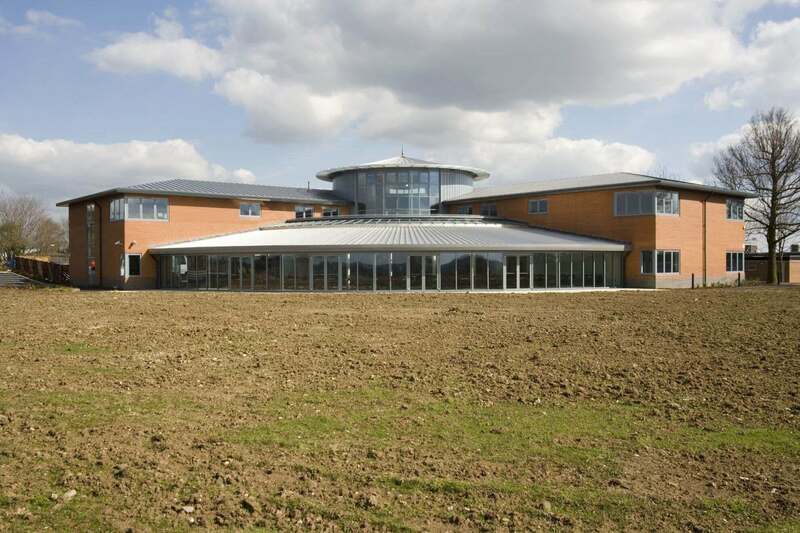 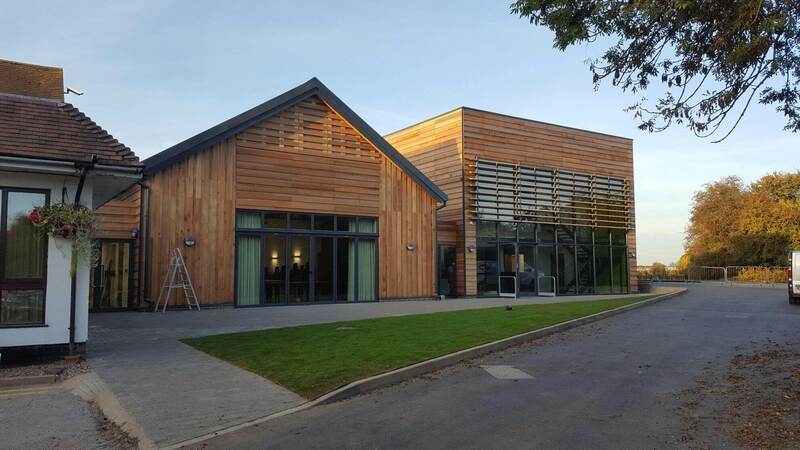 Located at the highest point on the school grounds, the building offers spectacular views over the Ouse Valley. 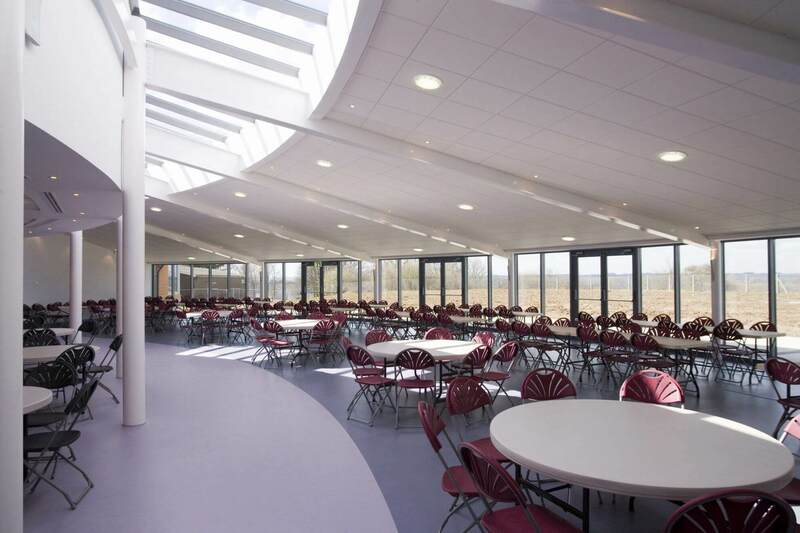 The building comprises two wings in an ‘L’ shape, each with two storeys with a central area in a radial form which accommodates the dining area which is fully glazed to maximise the views. 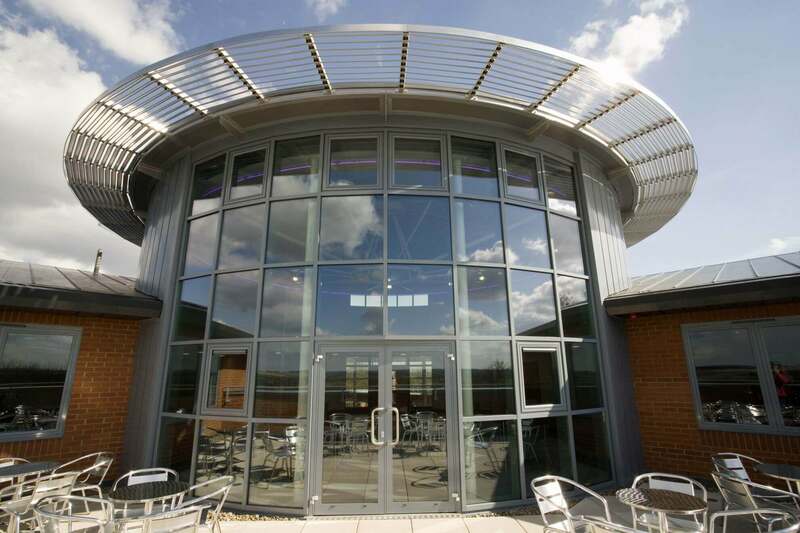 The first provides a terrace off the 6th form common room. 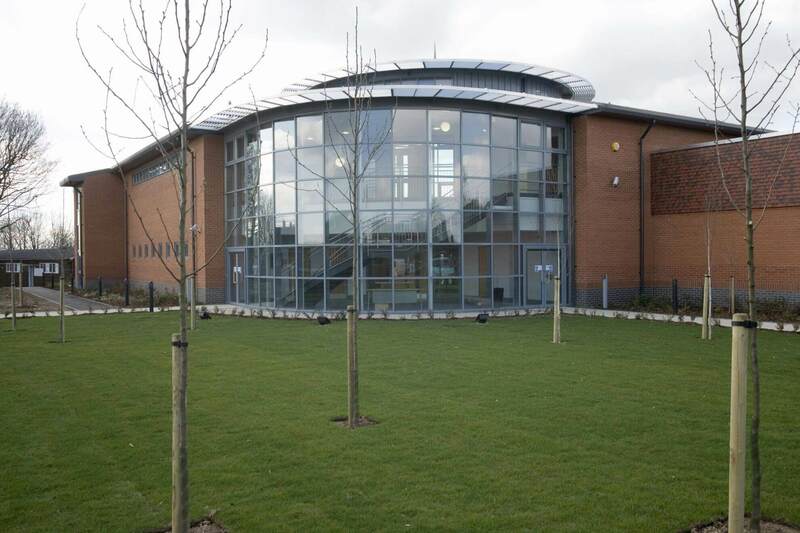 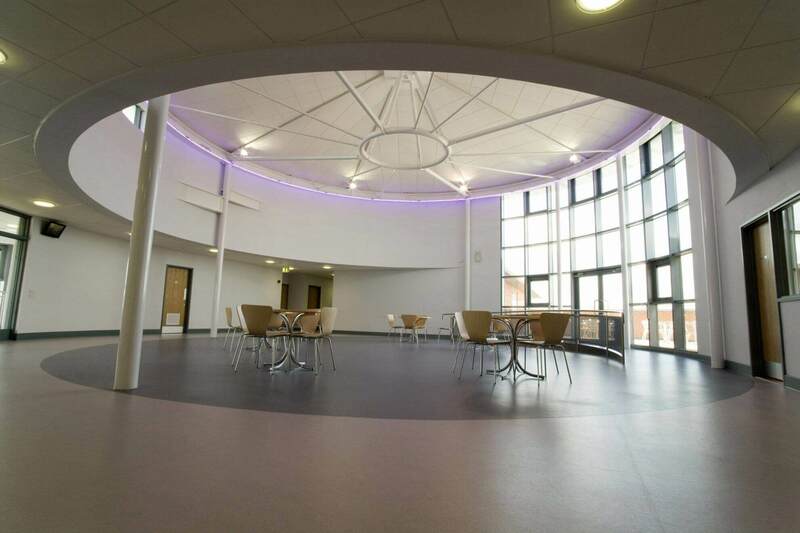 The building serves two separate functions, in the first instance it provide a refectory for the whole school at ground floor and secondly a 6th for centre on the first floor. 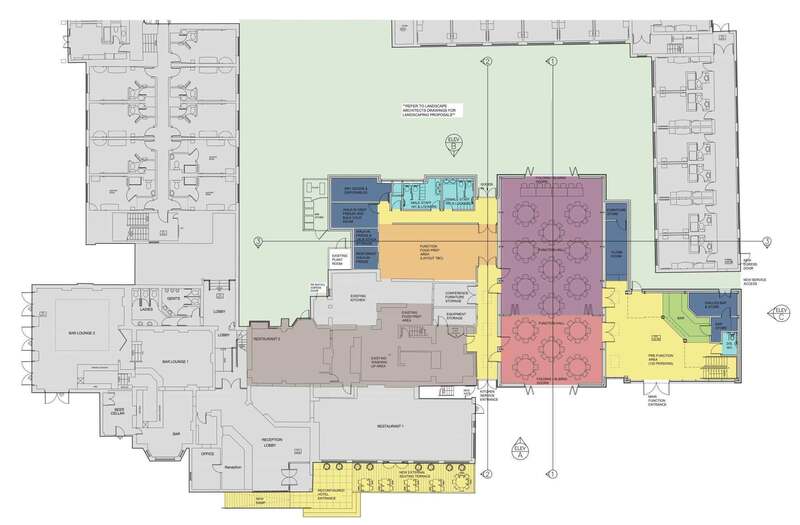 This includes a common room study and separate teaching areas. 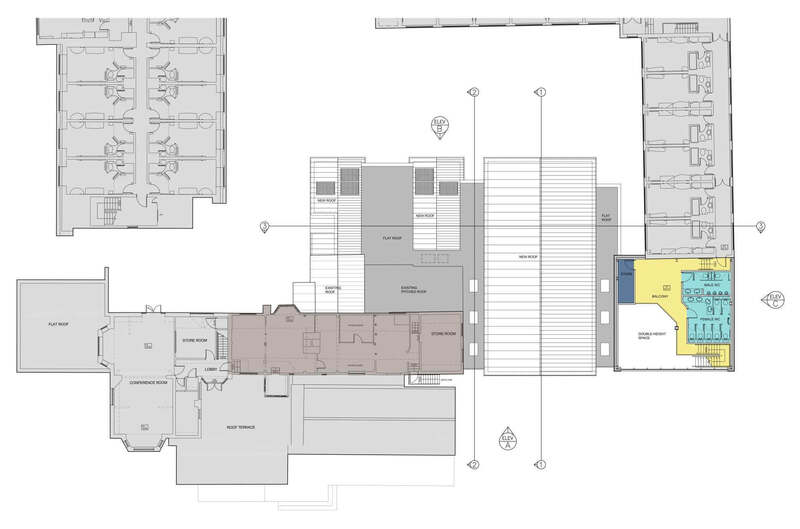 The two main aims of the design was to maximise the views from the communal areas and to create light and bright spaces in contrast to the more intimate study areas. 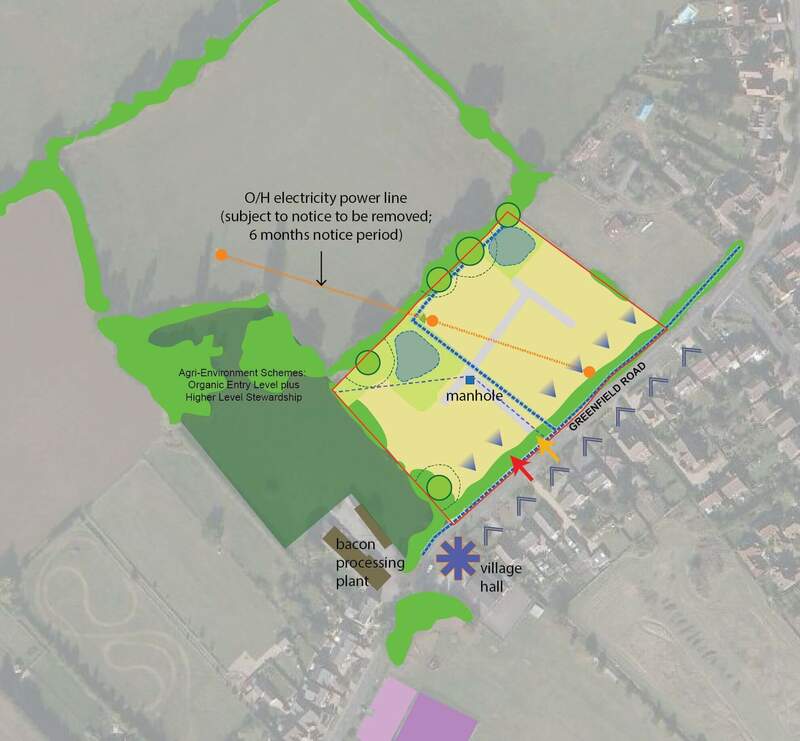 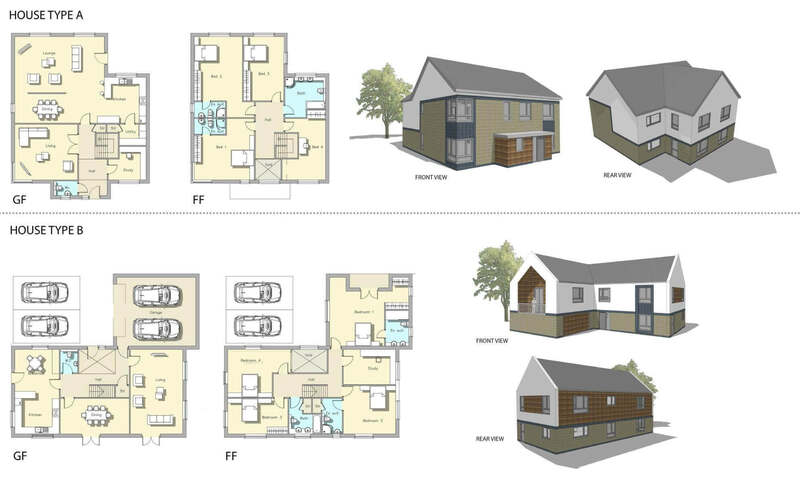 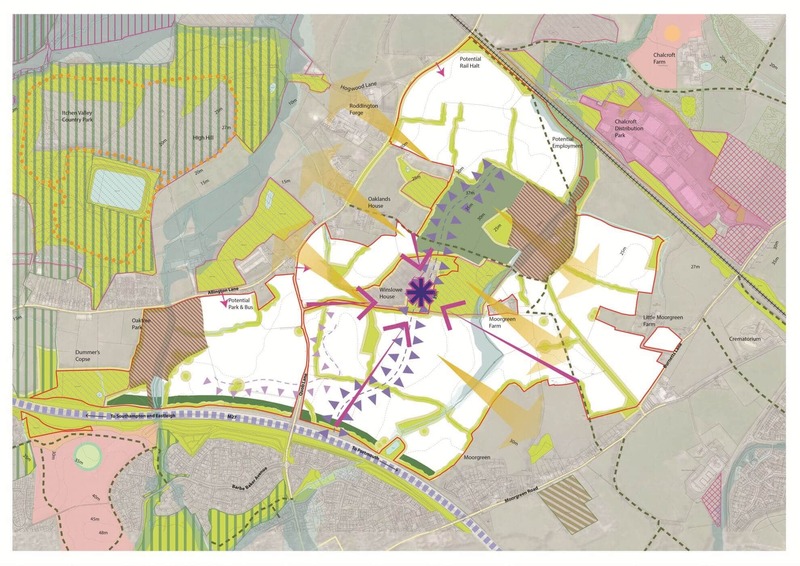 The proposed scheme forms an extension to the village of Flitton and contributes to defining the village’s edge. 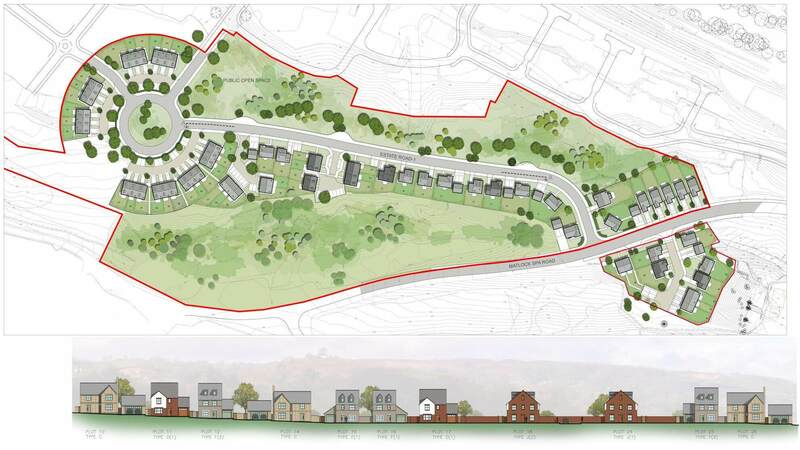 The front of the proposed development enhances the street scene along Greenfield Road with plots facing the street while allowing a generous defensible space. 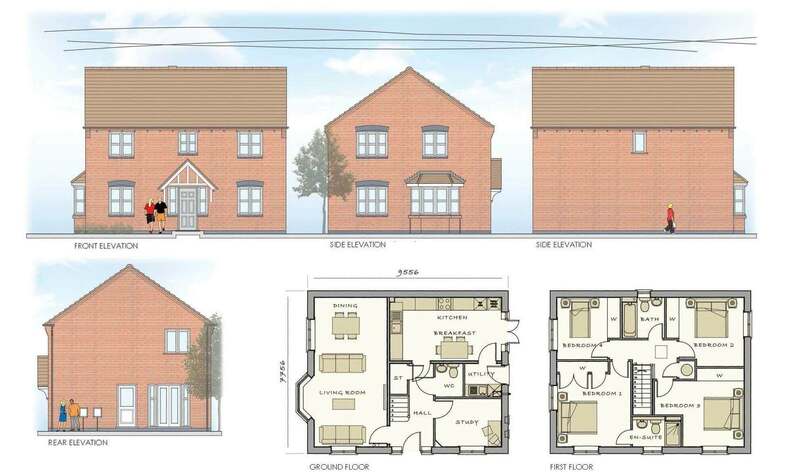 Set in the beautiful Bedfordshire countryside, this site provides the perfect scene for the realisation of a Paragraph 55 House. 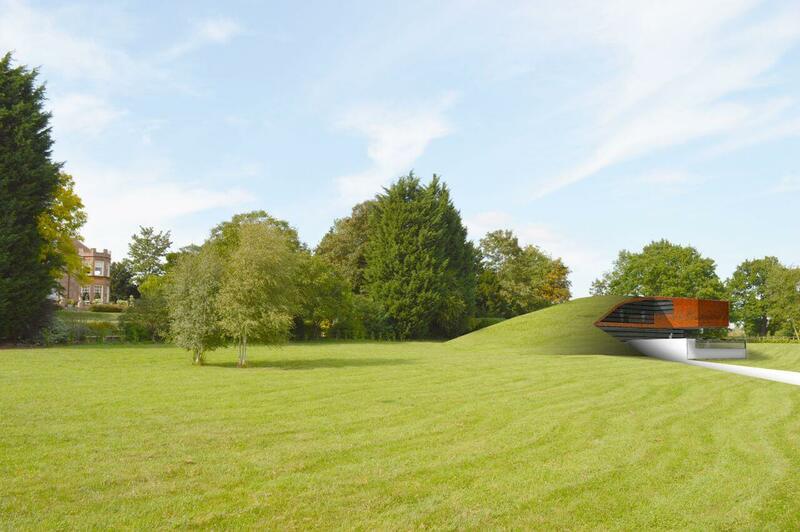 Making use of the existing contours, the house is dug in to a sloping grassed field and rises out of the ground to ultimately cantilever out over a pool. 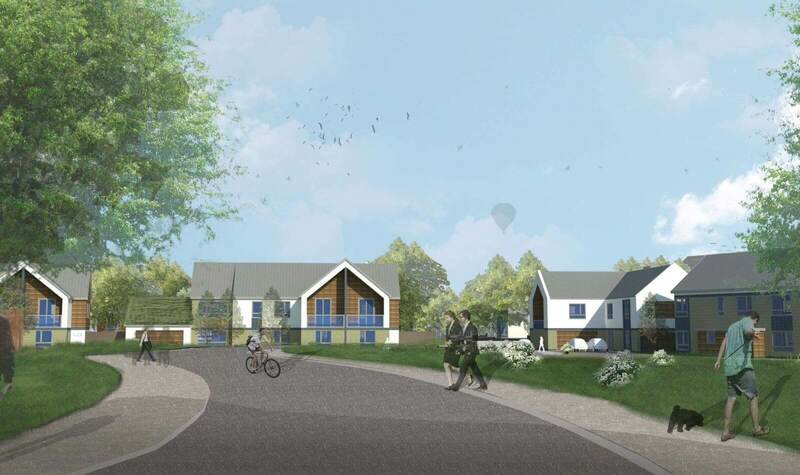 The site offers an opportunity to create a building that will be sensitive to the defining characteristics of the local area, whilst setting new standards for sustainability, low energy consumption, using local materials and supported by smart technology. 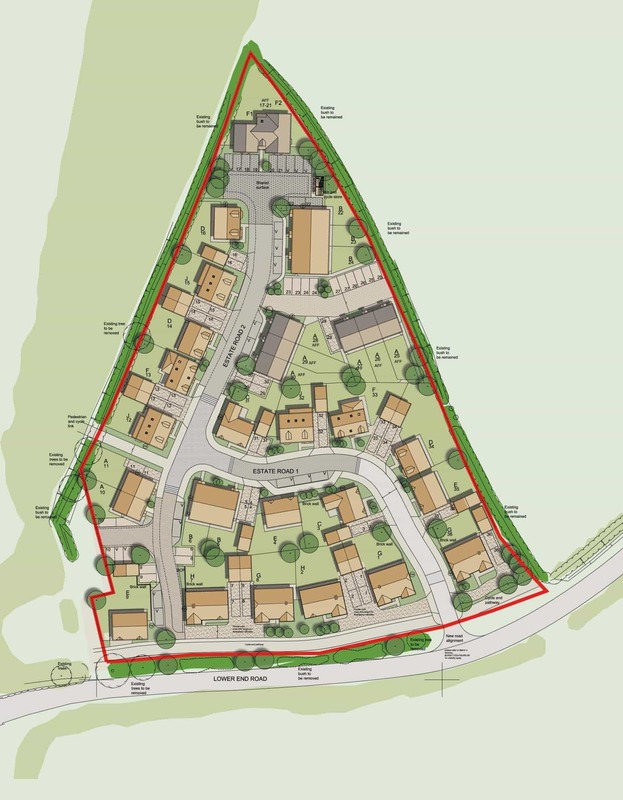 BE1 were commissioned to prepare a masterplan for the disused Cawdor Quarry as part of an outline planning application, and to design a detailed layout for the first phase of 65 houses. 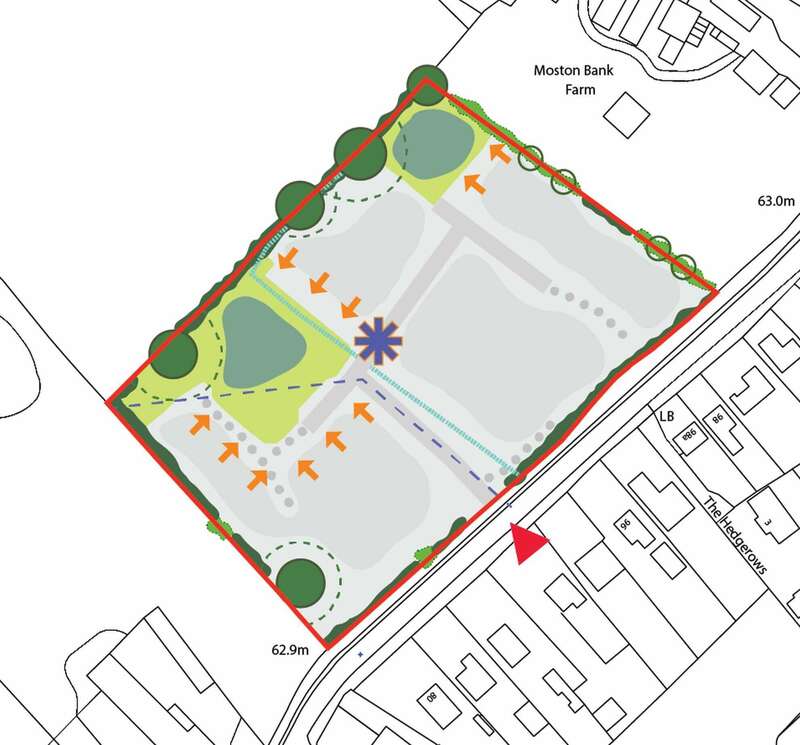 BE1 prepared a bespoke residential layout for 34 units for a site in Wavendon, adjacent to a wider strategic land allocation for up to 2,900 new homes. 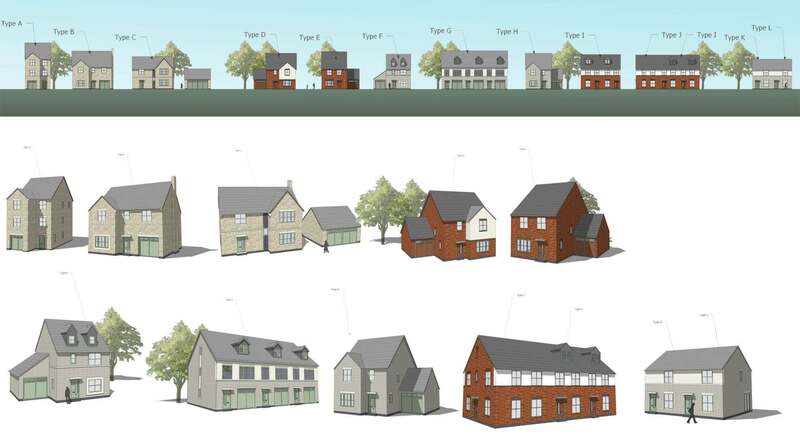 The layout and appearance were informed by a detailed research and context analysis exploring the local architectural vernacular. 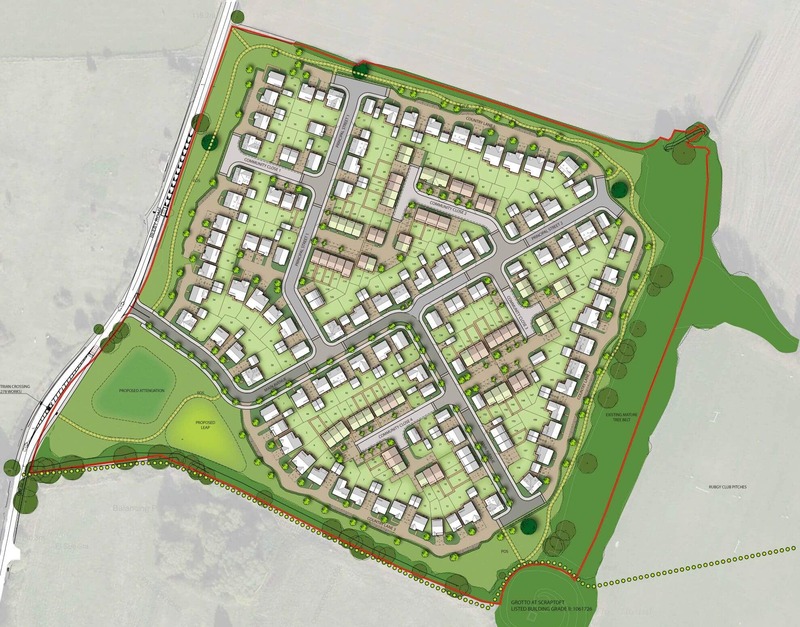 The residential scheme proposes a new neighbourhood as an extension to the village of Scraptoft. 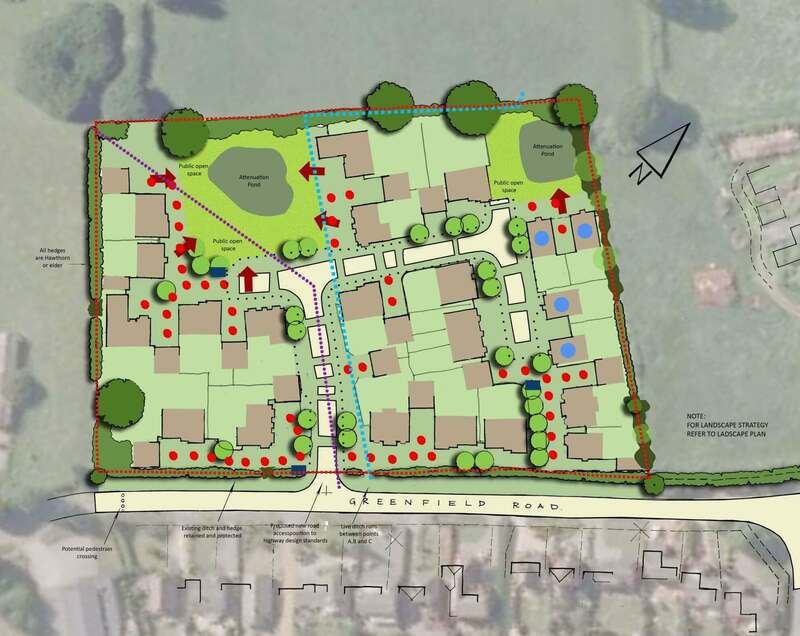 As such, generous landscaped buffers support the existing hedgerows and woodland along the site’s perimeter, to soften the transition into the open countryside, as well as enhance the site’s ecological value. 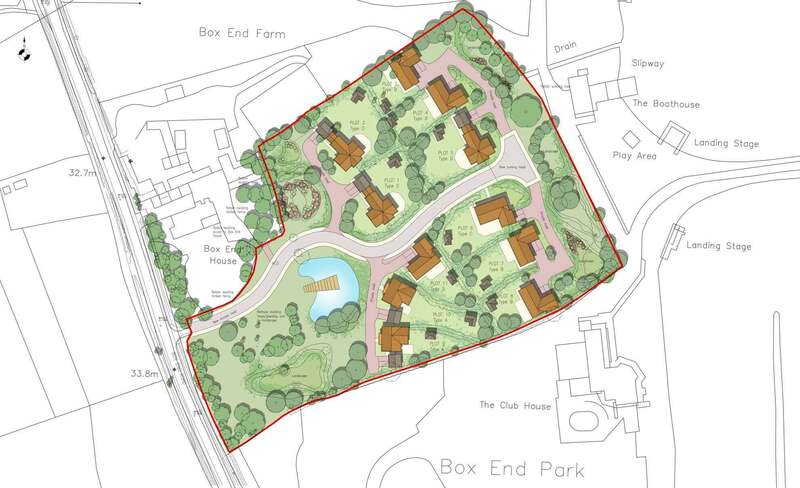 The scheme for 11 bespoke houses is set on the outskirts of Bedford, adjacent to a listed farmhouse. 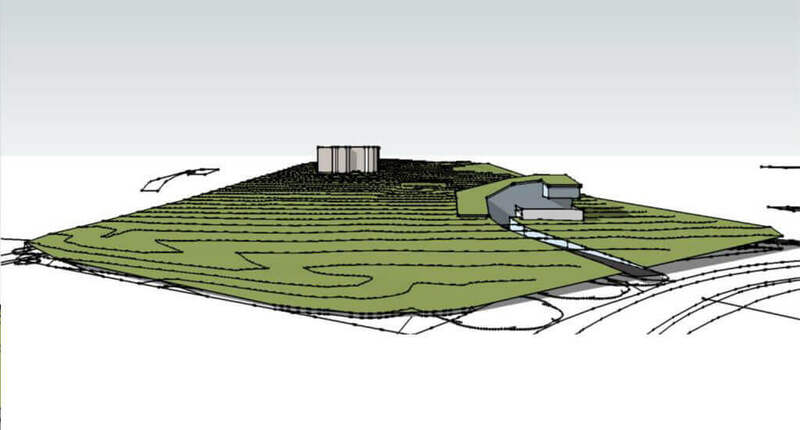 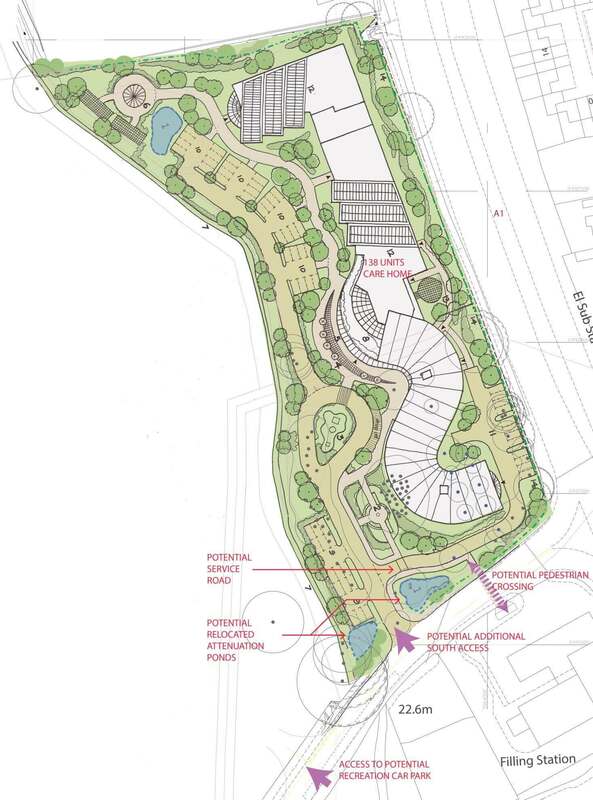 In order to limit the impact of the development on the setting of the listed building, a wide landscaped buffer was proposed to screen the development. 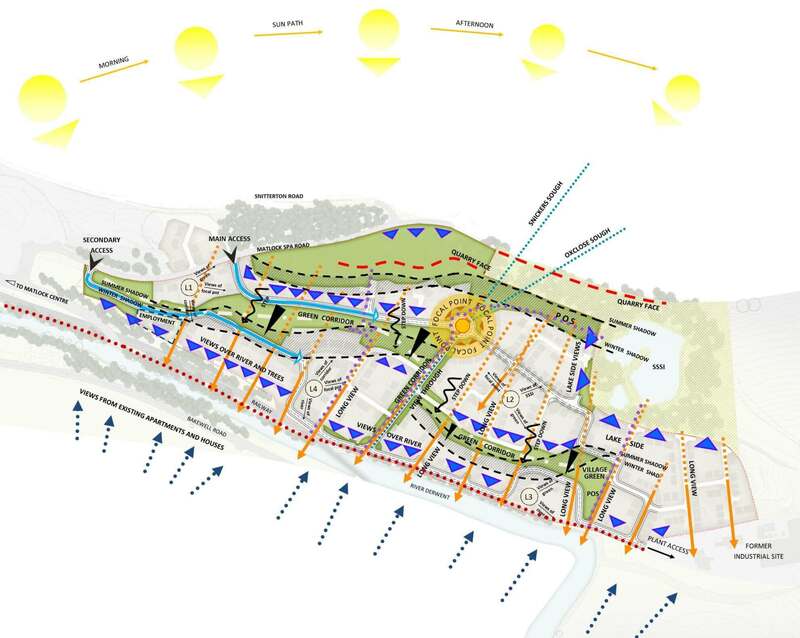 Similarly, the plots orientation and buildings height where designed to address the proximity to the listed building. 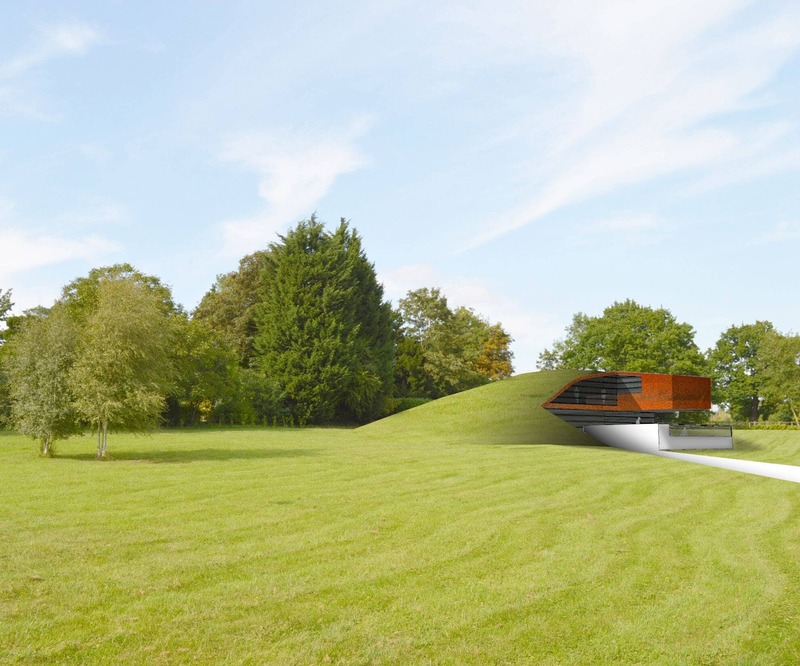 Collaboration with English Heritage has contributed to the delivery of a high quality and contemporary design that is sympathetic with this context. 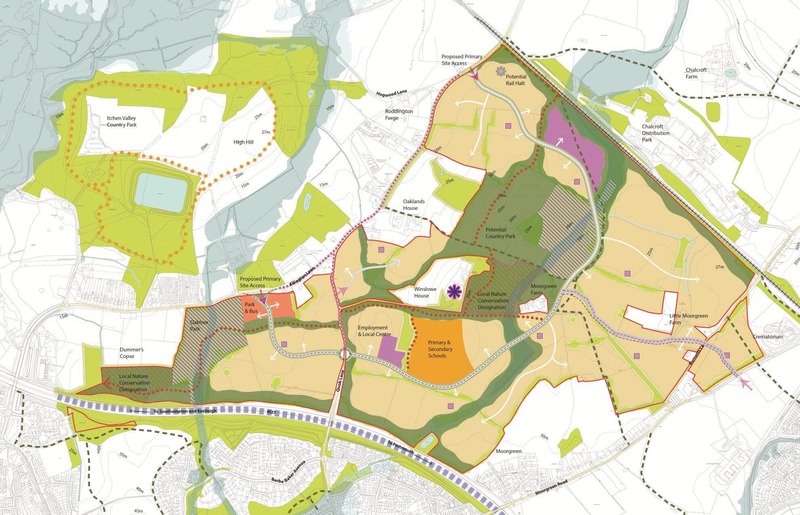 The proposed scheme will form a substantial extension to Southampton, north of the M27. 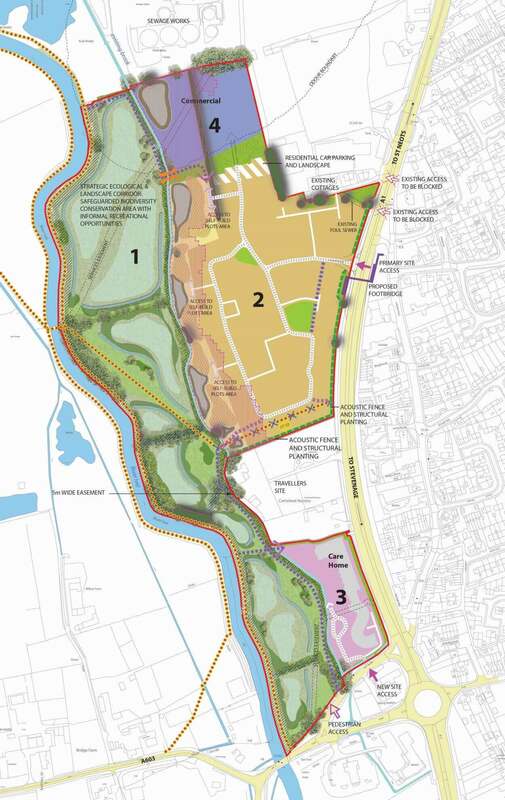 Areas of ecological value benefitting from conservation designation scattered throughout the site, the flood plain and existing vegetation shaped the development, while taking advantage of the panoramic views across the site from the Victorian country mansion of Winslowe House. 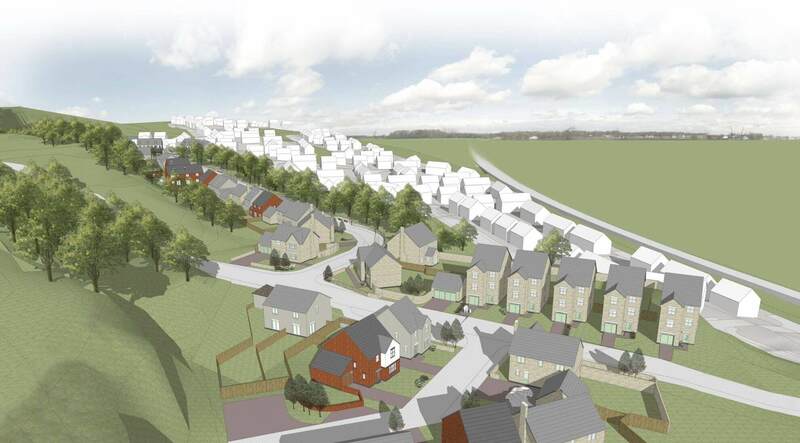 Residential development on the site was restricted to a relatively small area mainly due to the flood plain constraint, but also due to existing vegetation and potential noise off the major vehicular route to the east. 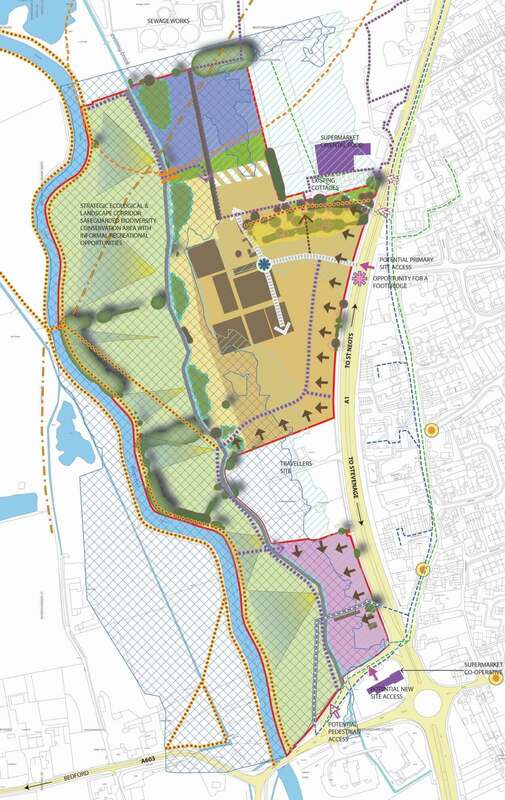 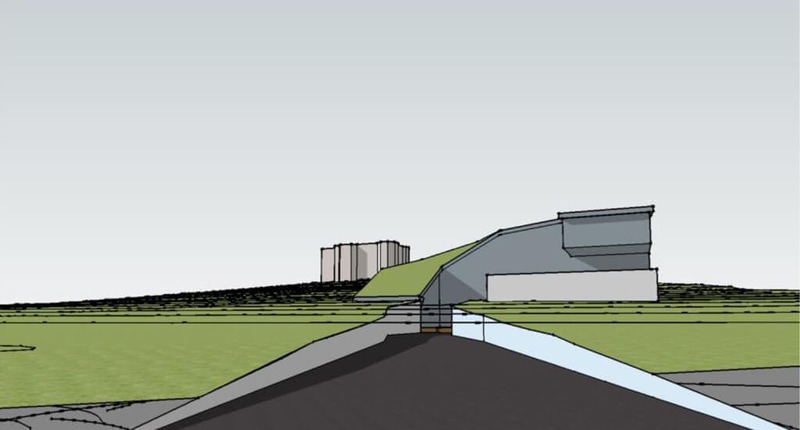 The proposal incorporates a large ecological open space with pedestrian links.